You're Here: Home / Blog / Digital Signage / Just how mind blowing are LED screen specifications? Just how mind blowing are LED screen specifications? I find it amazing that even though LED screens have been around for a long time, the specifications etc behind them can be sort of mind blowing. Here is a screen we came across a while back, it’s been around for a while and attempts to mimic the famous Las Vegas Freemont Street spectacular. Called ‘Beijing Skyscreen at The Place’ this monster of a screen is a beauty to look at. The specifications are impressive – 6000 square metre (nearly 65,000 sq ft) canopy consisting of 14.5 million LEDs which, when fully driven draw a total power of over 2MW. 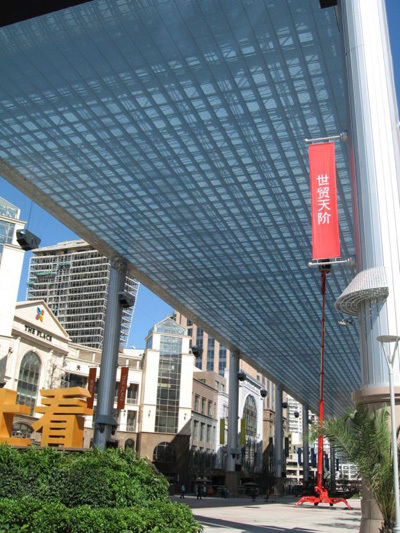 The 200m × 30m (656ft × 98ft) canopy is 25m (82ft) above floor level. . 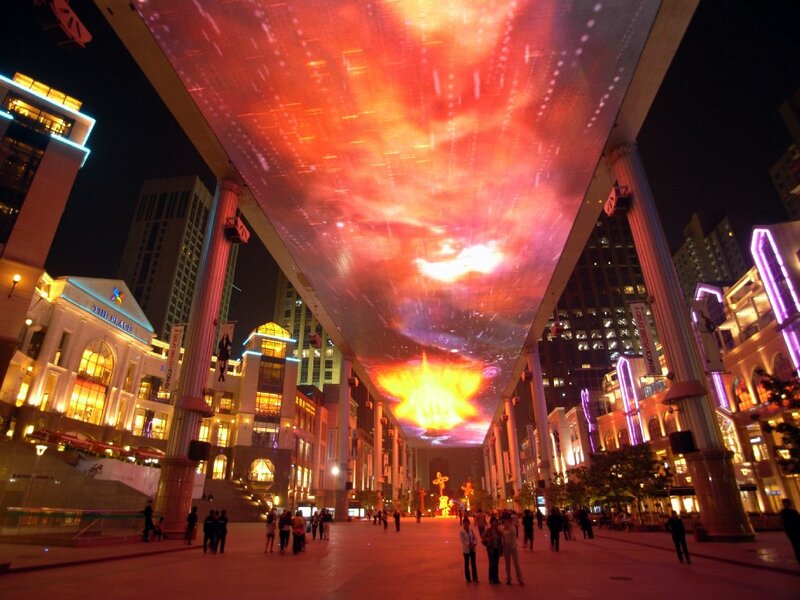 The canopy is used at night as an LED screen and is designed to act as a transparent roof during the day. That is 2MW of energy – WOW ! A video (thanks to YouTube) is below. This entry was posted in Digital Signage, Hardware, Uncategorized and tagged advertising, digital signage, digital signage news by hsmith. Bookmark the permalink.